Custom layups, custom panel sizes and a variety of thicknesses are available for virtually any furniture, cabinet or component application. APA wood structural panels dramatically improve material yields and productivity when compared with solid wood stock. 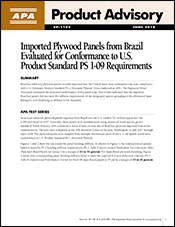 Manufacturers report material yields of up to 90 percent compared to 30 to 40 percent for solid lumber. 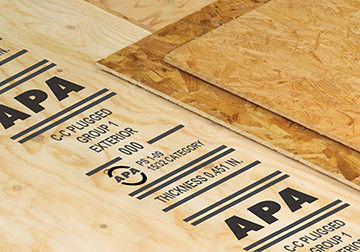 APA plywood and OSB panels are manufactured to North American product and performance standards. This means you can count on predictable high quality and dependable performance from one lot to the next. Smart manufacturers know that proprietary furniture grades of plywood and oriented strand board (OSB) for furniture frames produce higher material yields, minimize waste, reduce assembly costs and deliver quality furniture that will stand up to years of use in demanding environments.